"Very sad to hear of Ruth.s death. I was on her tennis team..."
"Such a beautiful, classy lady. So pleased to have known her..."
"Ellie, John, and Michael-- I am so sorry about your mom's..."
"I am sorry for your loss. Aunt Ruthis was such an awesome..."
Ruth Esther Keller, 88, passed away peacefully in her sleep at home in Vancouver, WA Dec. 11, 2016. She was born in North Dakota Nov. 2, 1928. Ruth graduated from Jefferson High School in Portland, OR and attended Lewis & Clark College. 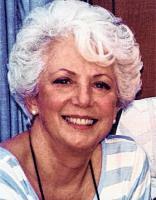 She enjoyed her career in real estate, working in San Diego, Palm Springs, and Vancouver. Ruth is survived by her son, Michael Indermuehle; daughter, Ellen Ruth Jarosi (husband John); and sister, Haroldine Hosford. She was preceded in death by her husband, Charles Indermuehle; parents, Harold and Esther Keller; and by her brother, David Keller. At her request, there will be a private memorial.